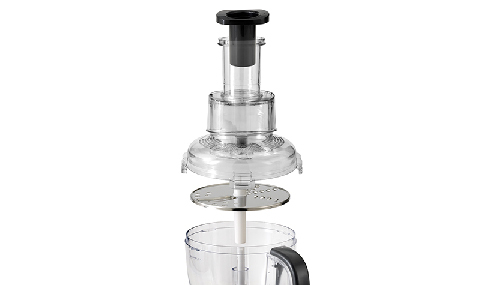 Just how powerful is the Power Pro Wide-Mouth Food Processor? 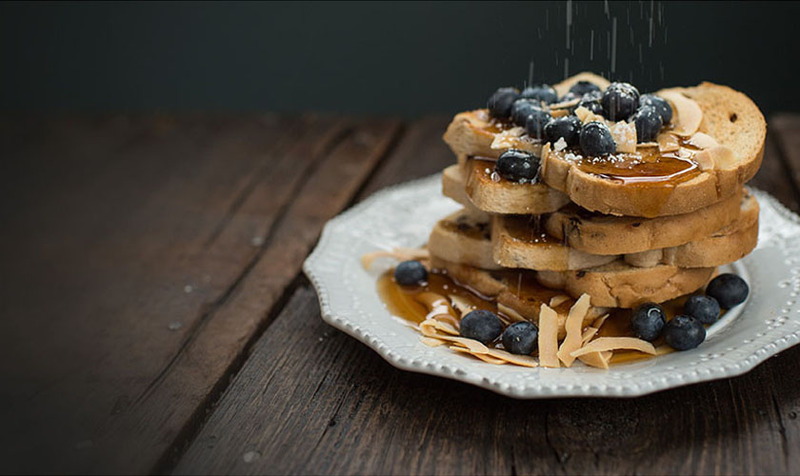 So powerful, that we had to design special heavy-duty suction cup feet to keep it in place while it slices, chops, shreds, grates and purees whole apples, potatoes, cucumbers, onions, blocks of cheese or any other whole foods with ease. With a fierce, 500-watt motor and tons of torque working in concert under its sleek and sturdy exterior, this is one heavy-duty piece of machinery that performs as great as it looks. The durable stainless steel slicing blade and shredding disk are up for any task you need completed. The simplified control panel allows for one-touch access to high and low speeds and the pulse button. PowerPro Wide-Mouth Food Processor is rated 2.0 out of 5 by 21. Rated 1 out of 5 by jocelyne from Very disappointing Do you try your products before you put them in the market? The lid is difficult to open, if you want to cut onions or peppers you have to do it by hand before you use the processor. To much parts and one always fly on the floor when you take off the bowl. I buy your product because I banned cuisinart but your brand doesn't sound much better. Rated 2 out of 5 by Mculki from Need replacement bowl Our bowl got cracked (not super sturdy plastic I guess) and I can't find a replacement that will fit! Now it's rendered useless. Such a waste. Rated 1 out of 5 by UnProcessed from Don't Waste Your Money The piece that holds the blade on does not lock into place and keeps coming undone. It does not process anything, just pushes everything to the sides of the bowl. Frustrating and useless in the end. Rated 5 out of 5 by Happy customer from Good machine I have owned this food processor for more than a year. It works great. I have used it to shred and slice. The only thing I would like is if I could but different blades or attachments to be able to do more with it. It is a little loud but no worse then most blenders and Its not like you be running it for long periods of time. The longest I have run it was to make almond butter, which it did without a problem. Rated 1 out of 5 by just me from TERRIBLE I received this product as a gift and did not have a chance to use for a few months. Today I took it out of the box, put it together making sure that all parts were locked in correctly, hit the power button and nothing. Will not work at all. Rated 4 out of 5 by Maria from Good customer service I bought this a few weeks ago from Amazon. During the 4th time I used it, the metal disc came apart from the plastic middle, completely stripping the plastic. 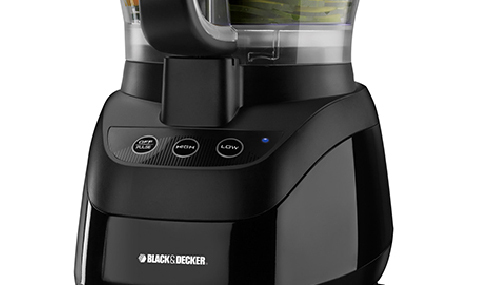 I emailed Black and Decker who referred me to Spectrum. I explained what happened and asked about a warranty, and right away I was promised a replacement part. It's due to arrive in 7-10 days. Rated 1 out of 5 by nnnn from absolutely horrible Bought this on sale since we needed a food processor. First one wouldn't start unless you jiggled it around while pressing the button, and then was just horribly loud and couldn't even mash bananas. Found out we could only exchange, not return, so we got another one, hoping it would be okay. This one actually turned on, but was just as loud and just as ineffective. Almost impossible for me to put it together or take it apart and the performance is not worth getting another noise complaint for.